Although there is no official word yet, GM has been reportedly developing a two-door Chevrolet Cruze for future production. However, reports hint that development is already under way at the Orion plant in Michigan. 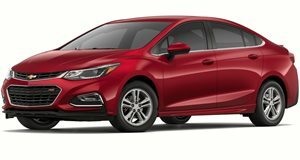 Interestingly enough, the Cruze was the best-selling compact in the US market last month, beating out such names as the Ford Focus and Hyundai Elantra. GM has been focusing a lot of their attention lately to launching the Chevrolet Sonic, which is set to rival the Ford Fiesta. Now that the Cruze is proving to be a solid sales success, GM brass feels the time is right for the coupe. Still, we&apos;d still be interested in gaining the Cruze five-door hatchback that&apos;ll be sold in Europe.